If you diden't liked this tune the first i time you've heard of it, you have probebly learned to like it. I pick up this tune today Becouse it's one of those unusual tunes that as a matter of fact is truly good, with a good message - that also plays at the swedish radio stations. I like the video to! And Barbara Streisend that the sing about is a amazing women. witch is a part of the message - if you know who she is you will understand this tune. It was suitable released in connection with the United States president switch 2009. Or to be true, about one and a half year after. But you can guess that they started to work on this tune around the president switch. The Dj group Duck Sauce made their braktrough 2010 with their hit Barbara streisand, named after the singer with same name. 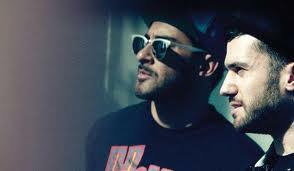 The Dj group Duck Sauce existing of Armand Van Helden And A-Trak. I hope at least that we will hear more from them! hejsan, vad roligt att höra!